This collection of short stories gives us a glimpse of the "life on the rez", or life off the rez for Indians. The stories are loosely connected by the same characters. I enjoyed getting to know the various characters and their quirks as well as gaining an insight into the limitations of an existence on a reservation. Some stories leave me a bit blue, others make me laugh out loud. 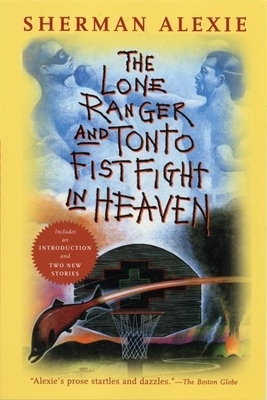 The Lone Ranger and Tonto Fist Fight in Heaven is a collection of short stories that has a little magical realism from Gabriel Marquez, the humor of Wodehouse, Native American Spirituality, some of the hopelessness of Kafka, and the tragedy of Shakespeare. It is an excellent book and yet to me the stories are missing something. For a long time I couldn't figure out what was missing. I am not Native American. The stories have a longing for a real Native Spirituality and the characters always fall short. It as if they are trying to recover the Native American Culture and refuse to accept that tragic as it might be, part of culture is gone forever. There is a failure on the part of the characters to recognize what cannot be recovered and create for themselves what their culture should give its people to survive in today's world.